Confession: It’s been two weeks since I had this amazing Yang Nyeom Gal Bi at Kiwa, and I’m still not over it. As in, I think about it, I want to have it, I wish I had more while I was there. Appetizers with a view! This space cadet forgot to write down what this was, but one was a porridge, and the other a cold soup. They’re really good together. Side-note: I’ve been trying to accurately describe what I want the small patio area at the back of our house to look like, but no one’s been able to get me. Then, I walked into Kiwa and saw exactly what I was trying to describe! Isn’t it so nice? It’s so homey and comfortable. Everything’s imported from Korea, though, so good luck to me being able to replicate this! Lol. Oh, and case you were wondering, Kiwa means traditional Korean roof tile. The restaurant interiors were designed by a Korean firm. The look is both traditional and chic at the same time. I have to tell you, I was never really fond of Korean food. There was just something about the taste profile that didn’t appeal much to me. After Kiwa, my perspective has changed. Everything there tastes so clean and fresh, so unlike the greasy, all-spice-no-flavor Korean food I’ve tried before. I suppose I’ve been going to all the wrong places? Lol. The thing with the Kiwa menu is that they really made an effort to keep the recipes authentic. Chef Gi Won Park and his team didn’t make any alterations to make the food more Pinoy-friendly. I’d like to think that this is what made a difference. This, plus the fact that they only use the freshest, most premium ingredients. The food at Kiwa does not hide behind overly strong spices. 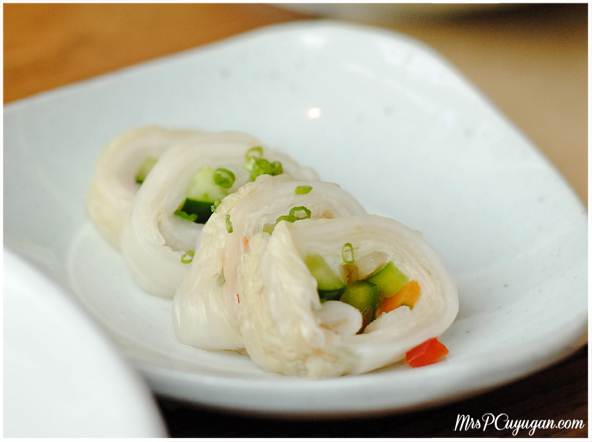 Take this white kimchi, for instance – No spice, all fresh flavor. Another super mega plus for Kiwa is the fact that you leave the place without smelling like smoke. They have a state-of-the-art exhaust system underneath the restaurant, so all the smoke goes down there. None of it reaches your clothes or hair. Like I said, this place is great for date night! You can snuggle after without the constant olfactory reminder of what you just ate. Though, trust me, your taste buds won’t soon forget. I mean, seriously. Words cannot even begin to describe the meal we had. Feast your eyes on this. The appetizers alone were so filling already. Serving sizes here are very generous, and good enough for three to four people to share. There were four of us at our table, and we really ate our hearts out. 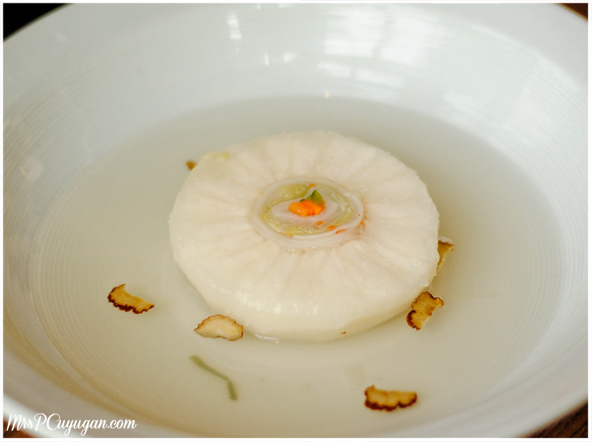 Baebaek-Kimchi – Rolled White Kimchi inside a Korean pear with seasoned water. 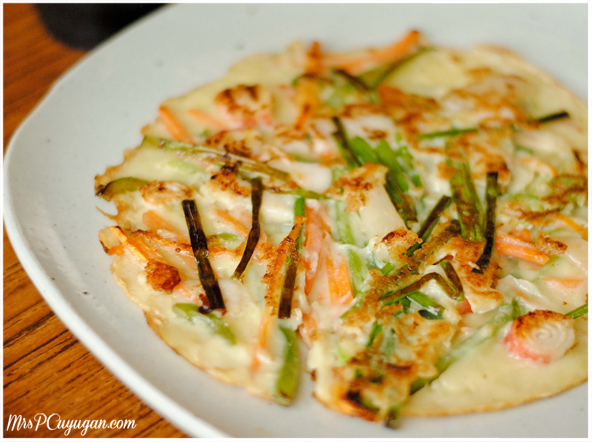 I LOVED THIS SIDE DISH!!! Yes, all caps. 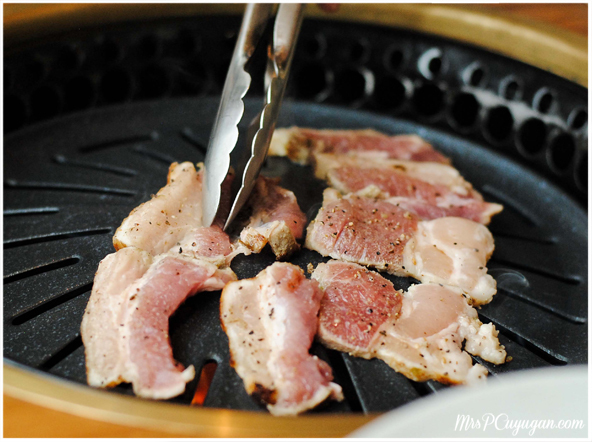 Grilled Samgyeopsal – Seasoned pork belly. You can eat this wrapped in greens with your favorite sauce, but in all honesty, I had it with rice. Same goes for the beef. No matter how filling a meal can be, I make sure to always leave room for dessert. Dessert is a priority in my world! I’m glad I did because the sweet treats at the end of our Kiwa Korean journey were so worth it. 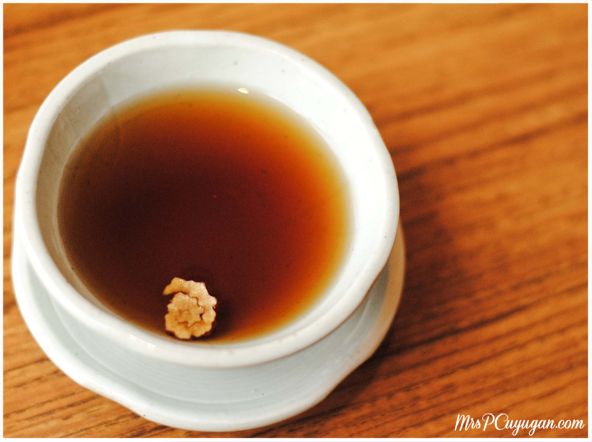 Cold plum tea. Really yummy, tastes almost like a cosmopolitan, sans alcohol. It’s supposed to be good for digestion, too. 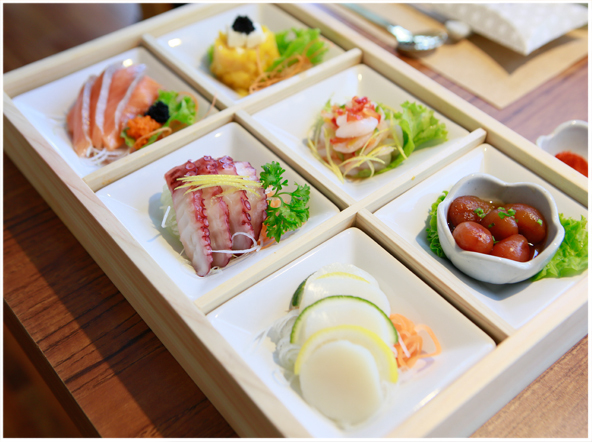 For a full-course meal at Kiwa, be prepared to spend around PHP 3,000. Rice sets go for PHP 800 and up. 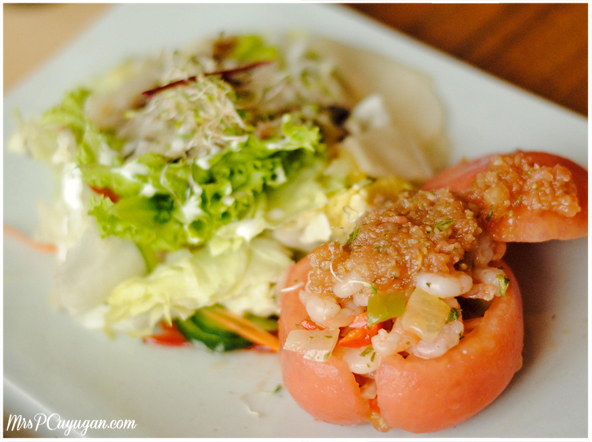 The place is totally family-friendly, so if you happen to be staycationing at Solaire, go downstairs and eat at Kiwa. You will not regret it! Kiwa Korean Grill Dining is located at Solaire Resort & Casino, 1 Aseana Avenue, Parañaque City. I’ve been to a lot of restaurants inside Solaire but I’ve never been here. 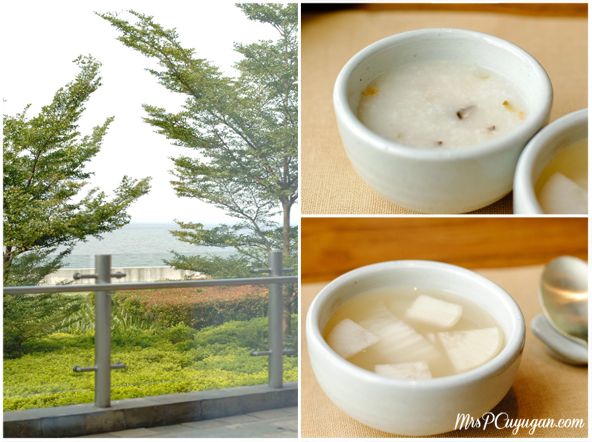 I’m looking forward to have a staycation there soon and try this Korean restau. 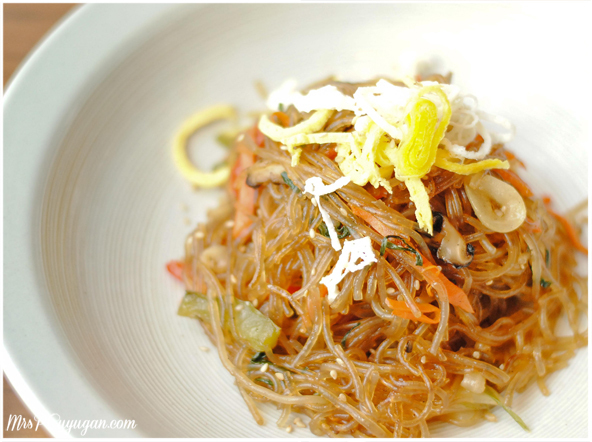 I have never tried eating korean food but I would love to try sometime. I like the interior design of the restaurant. It feels like you are already in Korea. Expensive, but looks very appetizing. Would remember this place for special ocassion celebration. Thanks for sharing. OMG this foods look so yummy! Honestly one of my dreams in like makakain ako ng mga Korean foods. 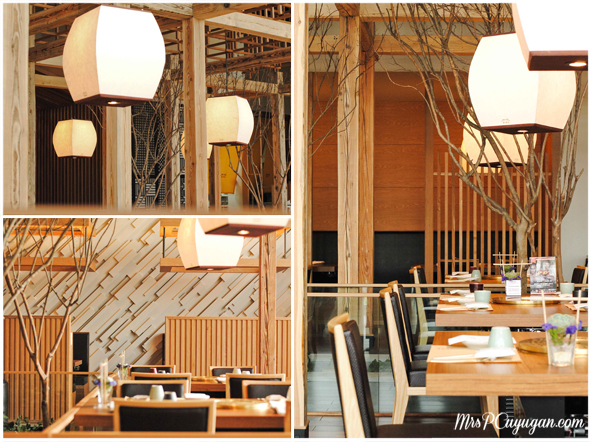 The interiors will really make you feel that you are in Korea! And I take your word when you said not over it yet. Nakakatakam. Nice interiors too. It was so good, Toni. I’m still not over it haha.